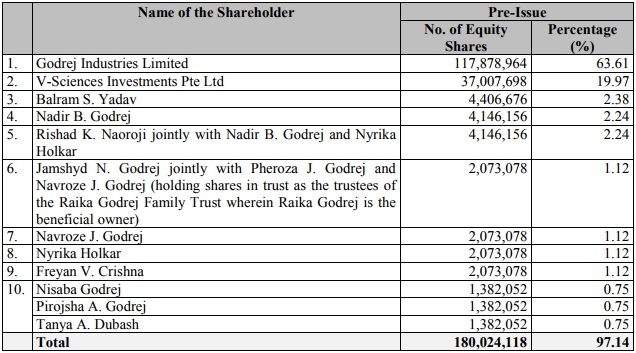 Godrej Industries holds 63.61 percent stake in the company and V-Sciences Investments Pte Ltd 19.97 percent of pre-issue paid up equity share capital. 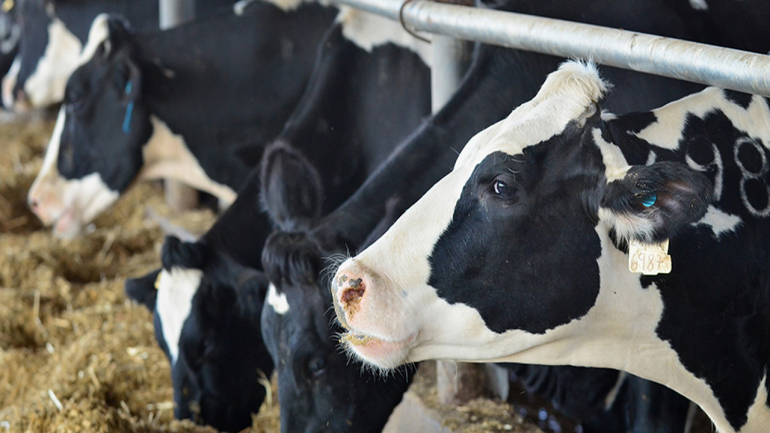 Animal feed company Godrej Agrovet's initial public offering is scheduled to open for subscription on October 4, with a price band of Rs 450-460 per share. Bids for the issue can be made for minimum 32 equity shares and in multiples of 32 shares thereafter. The issue will close on October 6. Kotak Mahindra Capital Company, Axis Capital and Credit Suisse Securities (India) are the book running lead managers to the public issue. Equity share are proposed to be listed on the National Stock Exchange of India and BSE Limited. Godrej Agrovet (GAVL), is a diversified, research and development focused agri-business company with operations across five business verticals viz. animal feed, crop protection, oil palm, dairy, and poultry and processed foods. GAVL is the leading compound animal feed company in India, on the basis of installed capacity for the financial year 2016 (Source: CRISIL Animal Feed Report). The company is also the largest crude palm oil producer in India, in terms of market share, as of March 31, 2017 (Source: Oil Palm Report). In May 2014, GAVL consolidated Animal feed R&D initiatives by setting up the Nadir Godrej Centre for Animal Research and Development in Nashik. The two dedicated R&D centres for their crop protection business at Mumbai and Thane, which has enabled GAVL to launch new products. Its oil palm business has a dedicated R&D center at Andhra Pradesh. It manufactures and markets processed poultry and vegetarian products through its brands ‘Real Good Chicken’ and ‘Yummiez’. The IPO comprises of a fresh issue of aggregating up to Rs 291.51 crore by Godrej Agrovet and an offer for sale by Godrej Industries (promoter selling shareholder) aggregating up to Rs 300 crore and up to 1.23 crore equity shares by V-Sciences Investments Pte Ltd (investor selling shareholder). The issue would include a reservation of Rs 20 crore for subscription by eligible employees. Further, the company proposes to issue up to 4,05,500 equity shares to identified employees of the company under the ESPS as part of the issue and at issue price. The company intends to raise Rs 1,145.01-1,157.31 crore at a price band of Rs 450-460 per share, through the issue. It will utilise the net proceeds of the fresh issue (Rs 291.512 crore) for repayment or prepayment of working capital facilities (Rs 100 crore); repayment of commercial papers (Rs 150 crore); and general corporate purposes. Promoters include Godrej Industries, Adi Godrej and Nadir B Godrej. Nadir B Godrej is the Chairman and Non-Executive Director of the company. He has been associated with the company since November 25, 1991. He has experience in leading businesses, and has played an important role in developing the animal feed, agricultural input and chemicals businesses owned by the Godrej group. 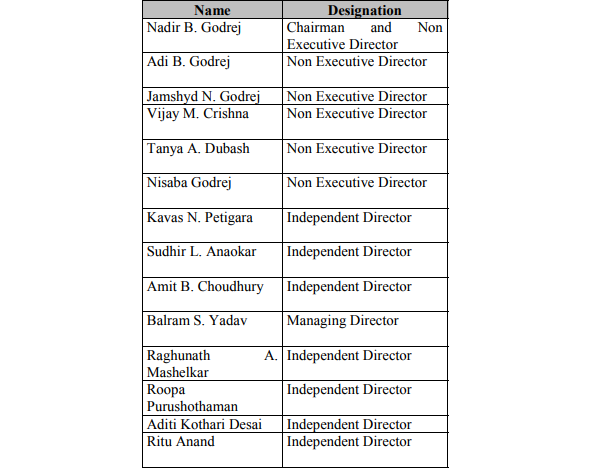 Adi B Godrej is a Non Executive Director. He has been associated with company since November 25, 1991. Godrej Industries is a conglomerate with a significant presence in home and personal care, animal feeds and agri-products, poultry, oil palm plantation, dairy, real estate development, oleo-chemicals and vegetable oils directly and through subsidiaries/associate companies. Godrej Industries holds 63.61 percent stake in the company and V-Sciences Investments Pte Ltd (an indirect wholly owned subsidiary of Temasek Holdings (Private) Limited) 19.97 percent of pre-issue paid up equity share capital. 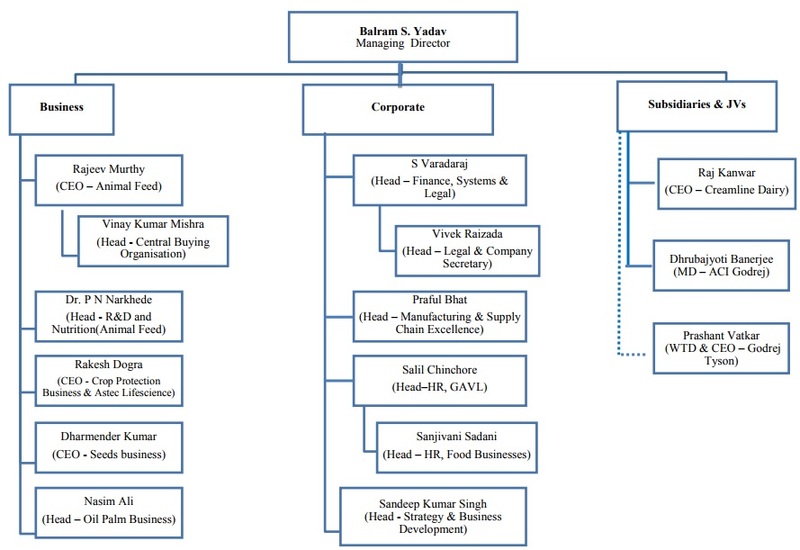 Balram S Yadav, Managing Director, has been with the Godrej group since 1991 and has experience of approximately 27 years in agri-businesses. > GAVL has a pan-India presence and operations spanning across five business verticals: animal feed, crop protection, oil palm, dairy, and poultry and processed foods. > Synergies across diverse businesses provide the company with the ability to drive growth, optimise capital efficiency and maintain competitive advantage. > The company undertakes dedicated R&D in existing products primarily with a focus to improve yields and process efficiencies. > Strength of the 'Godrej' brand and its association with trust, quality and reliability helps the company in many aspects of various businesses, particularly businesses that involve direct sales to retail consumers. > Significant portion of revenue comes from animal feed business. Any reduction in demand could have an adverse effect on business. > Shortfall in the availability of raw materials could have an adverse effect on business and results of operations. > Outbreaks of livestock diseases in general, and poultry and shrimp disease, can significantly restrict company’s ability to conduct operations. > Any adverse developments in concentrated states (Andhra Pradesh) could have an adverse impact on business. > Unfavourable weather conditions may have adverse impact on GAVL’s business. > Inability to maintain the current level of efficiency across business verticals. > Inability to increase share of high margins business in total revenue. > If the company is unable to introduce new products and respond to changing consumer preferences in a timely and effective manner, may result in decline of their products, which may have an adverse effect on their business, results of operations and financial conditions.